Team Fortress 2, a legendary game made my Valve after many years of being a TRIUMPH and a HUGE SUCCESS they have decided to share the wealth with the public … PERMANENTLY! 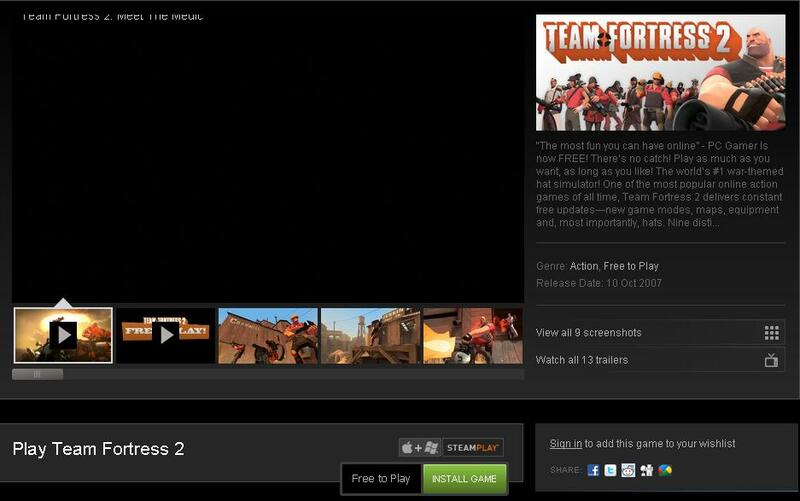 Although I am a little suspicious that Valve might have an ace up their sleeve, I mean when Valve made Portal free to play they announced Portal 2 later on … So could this mean that Valve is working on a new Team Fortress? Can the mighty company ACTUALLY count to 3? Again this is my speculation and not a confirmed report or anything but hey one can dream right?